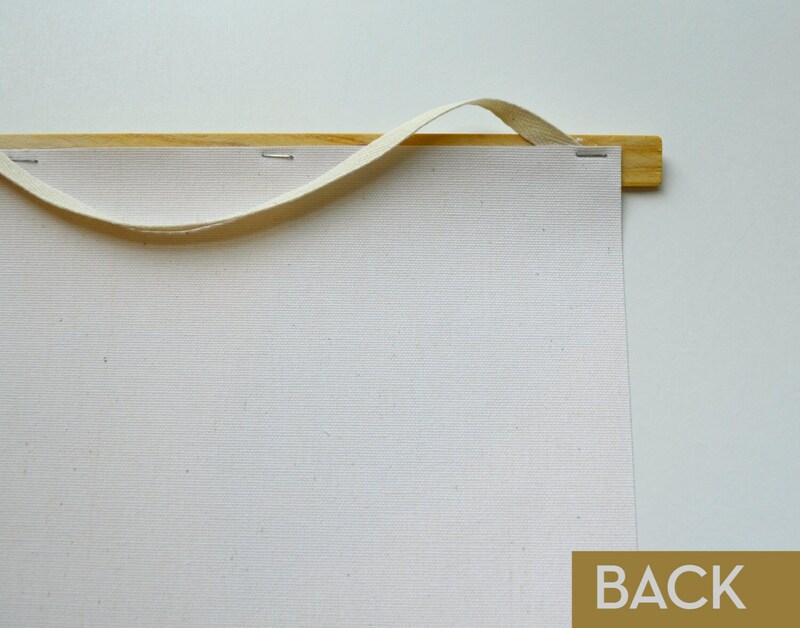 Handmade Vintage Pull Down Chart Reproduction. 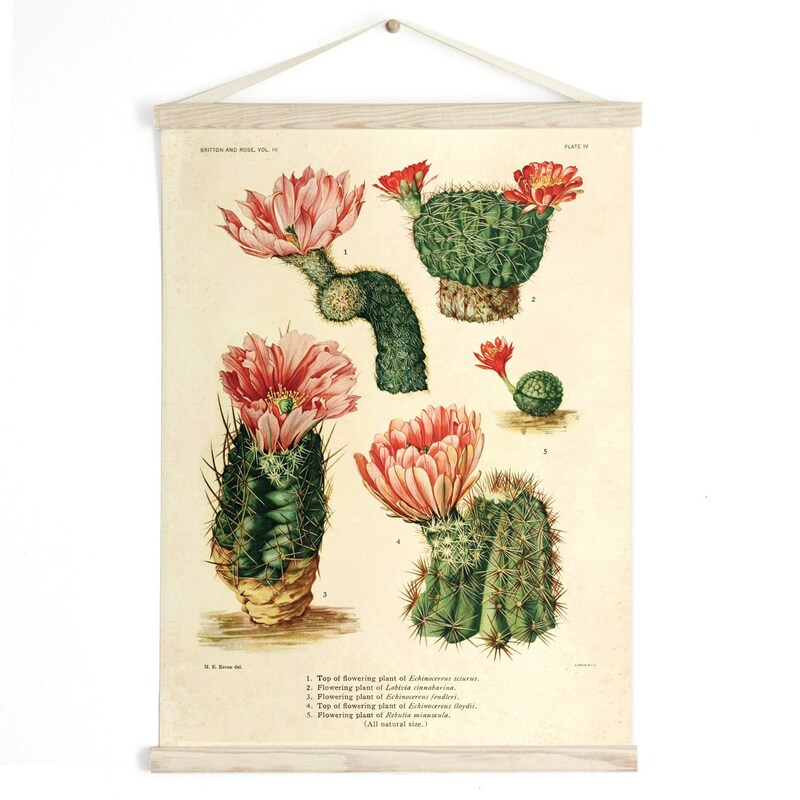 This handmade faux pull down chart features a reproduction of a vintage botanical plate. 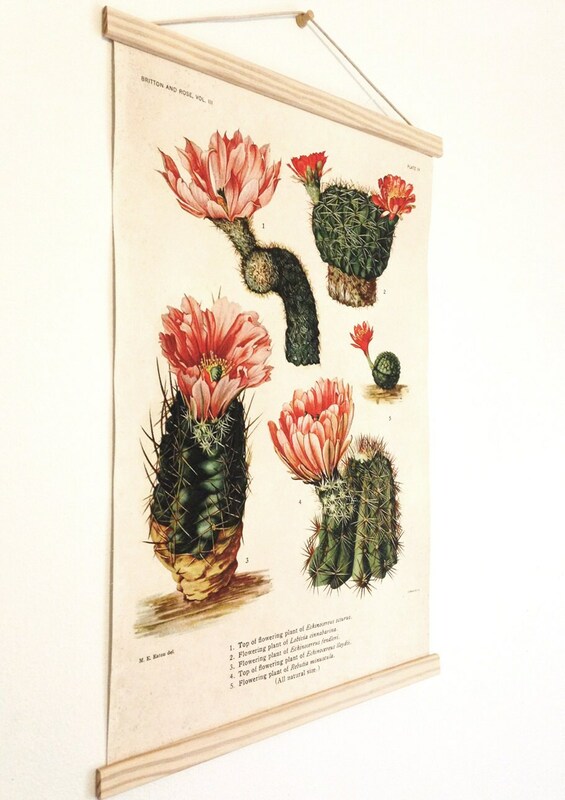 Original art from the text “The Cactaceae : descriptions and illustrations of plants of the cactus family by by N.L. Britton and J.N. Rose (1913). The pages have been scanned in, cropped, and retouched to ensure the highest quality reproduction possible. It is then printed on beautiful textured canvas with natural stained wood trim. One of the best features of this print is that it is ready to hang, no framing needed (just a nail or hook).